October 27, 2008 – The Financial Times released its ranking today of the top Executive MBA programs in the world. 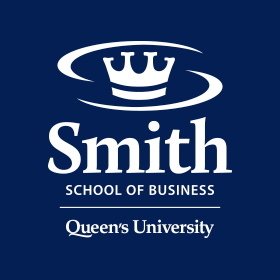 Once again, Queen’s School of Business was ranked as one of the top EMBA programs, coming in at #86. A first-hand witness to the carnage on Wall Street, Bill Bamber, Queen’s MBA’94 alum and co-author of “Bear Trap: The Fall of Bear Stearns and the Panic of 2008,” will present an evening of stimulating discussion and narrative at QSB events across Canada and in New York. The Monieson Centre has launched a new website – http://www.easternontarioknowledge.ca/– for the Knowledge Impact in Society (KIS) project. STELLARTON, NS – October 6, 2008 — Six outstanding students from Atlantic Canada have been awarded the 2008 D&R Sobey Atlantic Scholarship in recognition of their academic excellence, leadership skills and community involvement.